I've been using iTunes for over a year and own over a 100 songs. Their price point is great - $0.99 per song is affordable and the quality of the music is assured. I'm a great believer in getting people of piracy by offering the right price point. The problem is, Apple still considers me a pirate, despite me paying. Every song is protected with a complex DRM (Digital Rights Management) scheme that allows playing the song on 5 registered computers only and one iPod. Despite the fact I bought a song, I can't give it to anyone (so my property rights are violated). Lately, Steve Jobs announced that Apple will switch to DRM-less music, at a $1.29 per free song. Good, but a bit late (and pricey). 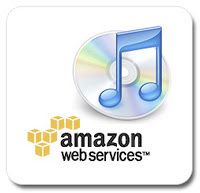 Enter Amazon, who this week launched a new MP3 store. Their price point is $0.89 per song, $4.99 per album (compared to Apple's $9.99). And all the songs are DRM-less! They currently have a million songs available and they'll keep on adding. I still have 65 pre-paid songs in my Apple account that I have to purchase by Nov. 30. But after that, I'm definitely checking out Amazon's store. PS: for my international readers, another reason to check the Amazon store is the fact that it sells (most) songs worldwide, as opposed to iTunes that sells in the US, UK and parts of western Europe only.